Fay has worked as a physician assistant in Dr. Isacoff’s office since 2007. She examines patients, prescribes medication, orders diagnostic tests and helps patients manage side effects. She likes helping patients and providing support to them during treatment. When not working, Fay enjoys spending time with her husband and three kids. Nadia joined Dr. Isacoff’s office in July 2011 as the bookkeeper. She keeps the back office running smoothly and stress-free, paying the bills and keeping track of payments to the office. Barasch doesn’t work directly with patients, but says she enjoys talking to them and hearing about their life experiences. 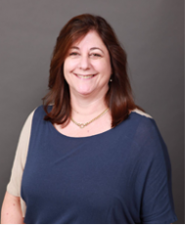 “I like working with Dr. Isacoff because he is a smart, kind, witty and interesting man and I admire what he is doing for his patients while they go through their treatments.” When she’s not working, Nadia enjoys cooking, traveling, working out, watching movies, going to the theater and spending time with her husband, her son and her friends. 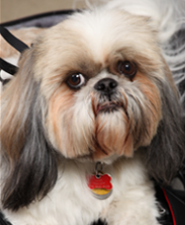 Sony is Dr. Isacoff's 6-year-old Shih-Tzu. He’s a trained therapy dog that sometimes goes home with patients on weekends. He also visits patients in the hospital and those in hospice care. During office hours, he can be seen sleeping in his bed in Dr. Isacoff's office or wandering out to greet patients.